This blog post is about the second third of the novel Into Thin Air by Jon Krakauer. I will examining this section of the novel from an archetype perspective. To start off, Jon Krakauer is the narrator of the novel. He tells the story from his point of view and talks about his view on the expedition. Rob Hall represents the mentor in this novel. He is the guide and is in charge of this specific expedition. He is an elite climber and climbed the seven summits within seven months. His job is to guide other people and help them climb Mount Everest. 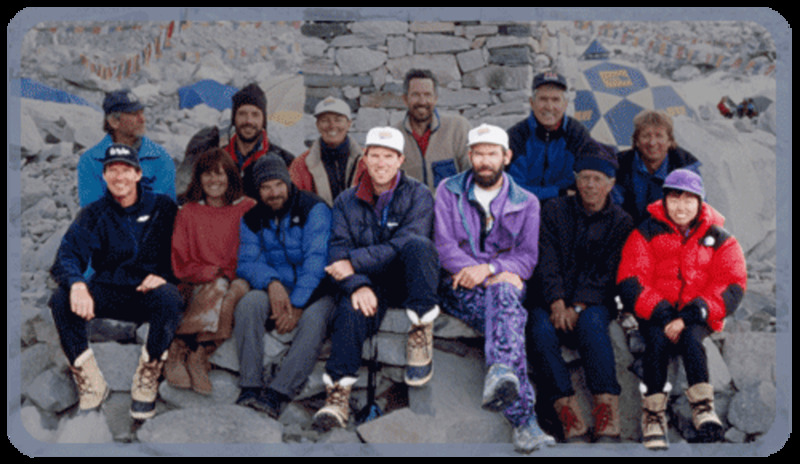 ” ‘With so many incompetent people on the mountain,” Rob Hall, my expedition’s guide, said with a frown one evening in late April, “I think it’s pretty unlikely that we’ll get through this season without something bad happening up high'” (Krakauer 130).Hall is very experienced is considered one of the best guides there are. He is very successful with getting clients to the summit and getting them back down safely, however he knows due to his experience that it isn’t ever smooth sailing; climbing Everest will never be easy no matter what the circumstances are, and unwanted challenge are bound to happen. He is also a mentor as he provides his clients with knowledge which is key for being successful on this mountain. The expedition leaders, such as Rob Hall, can also be considered heroes. Rob Hall is a hero to many as he helps make mountain climbers dreams become a reality. 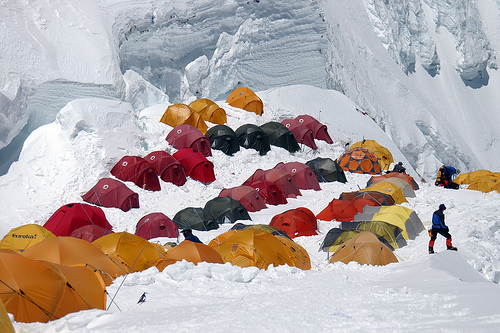 All the camps (five in total) represent a safe location while climbing the mountain. The camps are the place where people can be treated by doctors as well as easier contact family and other climber. These camps however are not the typical “safe haven” location one might expect. There are no true safe location while climbing a mountain but the camps are as close as it gets. This is a non-fiction novel which makes it hard to find archetypes within the character as they are real live people, not made up for a story. I personally do not think each character fully fits into a certain archetype but fits into part of one and also part of another. Krakauer, Jon. Into Thin Air: A Personal Account of the Mount Everest Disaster. New York: Villard, 1997. Print.